I was scared to try these the first time I was given some. I was at a barter event; a nice man was interested in something I had to offer, probably jam or pickles, and had kale chips to share. They had some yellow coating on them that looked like cheese– or maybe like cheez, as in puff, doodle, spread. I could have asked questions… but I didn’t. Why go to barters if you’re not willing to try new things? I traded for a quart-sized bag of the kale chips with yellow coating, which went into a cupboard as soon as I got home, unopened. As I looked through the cupboard for a snack one day, I found the kale chips and decided to give them a try. They were light as air, crisp to the point of almost disintegrating on your tongue, and with a savory, slightly salty flavor that reminded me of fresh air-popped corn, or tortilla chips. So delicious! Why had I waited so long to try? The powder on them tasted like cheese, somewhere between parmesan and sharp cheddar, but I knew it wasn’t. I learned it was nutritional yeast… and I had no idea what that was, or if I wanted to eat it. After some research, I learned that it is a deactivated natural yeast, meaning no leavening abilities, grown on molasses. Because it’s close in nature to a mushroom, it has the wonderful umami properties that trick our taste buds into thinking “cheese”. Nutritional yeast is a vegan-friendly substitute for cheesy, savory flavors in anything from soups to sauces to snacks like my kale chips, and it’s good for you! 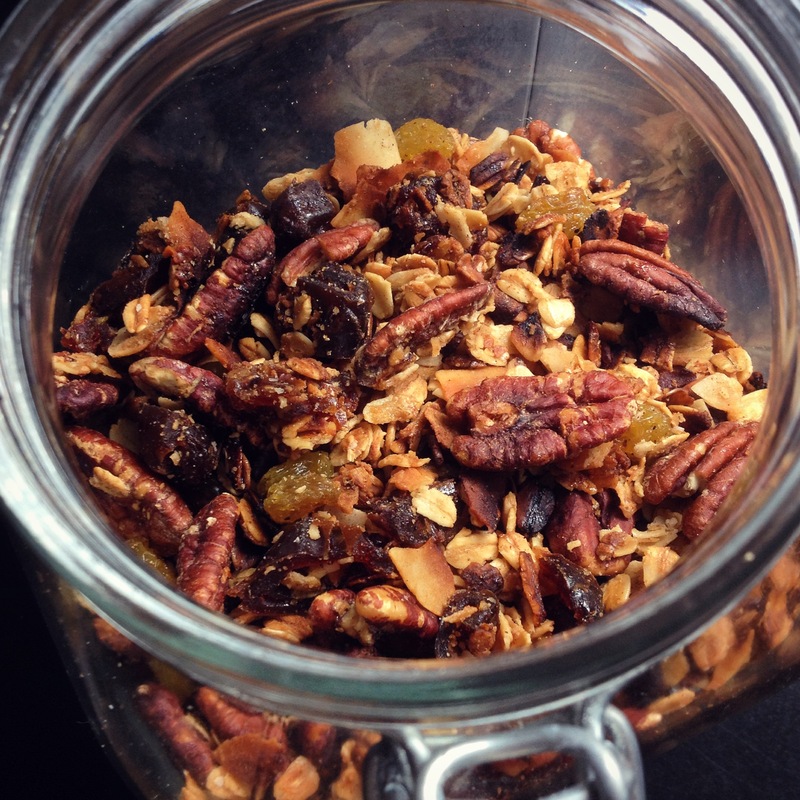 Sometimes called “nooch”, it is rich in B vitamins, selenium, folic acid, zinc and protein. Eat one of these kale chips with your eyes closed and it might be hard to tell the difference between it and a snack flavored with that bright orange powder that stains your fingers; they remind me of broccoli cheddar soup, of white cheddar popcorn and sometimes, sometimes, I swear I get a hint of bacon. Maybe it’s just the saltiness, but I’ll take it. If I’m not careful, a batch of these baked kale chips can be a one-sitting snack. Just like buttery popcorn, crunchy chips, salty pretzels, they taste so good I can eat mindlessly. I suppose, considering the ingredients, that wouldn’t be the worst thing… But I like to have some for another day. Crispy, slightly salty, and with that hint-of-cheese taste from the nutritional yeast, they are legitimate snack heaven. And, it feels like a such bonus to have a healthy treat that helps me eat more dark, leafy greens! Nutritional yeast is showing up in more and more stores– I was able to find it in bulk in my regular grocery store for $10/lb., meaning this recipe used $.80 worth– so there will be many more of these wonderful kale chips in my future. In additional to a snack, they are great as a crouton-like topping to soup or chili. I even sneak them into sandwiches for a chip-like crunch factor. Isn’t it so nice to find a satisfying treat with so many good qualities? Tasty, inexpensive, portable– what more could I ask for? Happy snacking! Start by preparing the kale: you’ll want to remove the stems from each leaf and tear the greens into chip-sized pieces. I use my hands to tear the leaves, but of course you can use a sharp knife instead. Discard the stems, or save them for another use. Wash the leaves carefully and thoroughly and then spin or pat dry. Place the clean, dry leaves in a large bowl. Preheat the oven to 200 degrees and line two baking sheets with parchment or foil. Drizzle the olive oil over the washed kale and use your hands to massage it into the greens. You are making sure to coat each leaf thoroughly with oil, and also starting to wilt or soften the kale. Add the nutritional yeast, salt, pepper and cayenne, if using. Use your hands or a spoon to mix gently but thoroughly. Divide the seasoned kale between your two pans in single, flat layers. Pour any nutritional yeast remaining in the bowl over the top of the leaves. Bake for 45 mins., then rotate the pans 180 degrees and move the top pan to the lower rack and vice versa. Bake for another 45 mins. At this point, assess whether the kale chips are dry and crisp. If they still look or feel wet, continue baking in increments of 15 mins. You can remove chips that are done from the pan to prevent over-baking, but it’s not strictly necessary. You’re really just drying them out, so you aren’t much concerned with burning. When the chips are done, allow them to cool on the pan at room temperature before transferring to tightly-closed containers to store. The kale chips keep indefinitely at room temperature. Every respectable Super Bowl party has good food. It’s the key element to fuel the festivities, a must if you want to bring even non-football fans into the fold. Yes, the commercials are fun and the half-time show is entertaining (at least in alternate years), but good food is a universal constant. This year, with my team in the game (!! 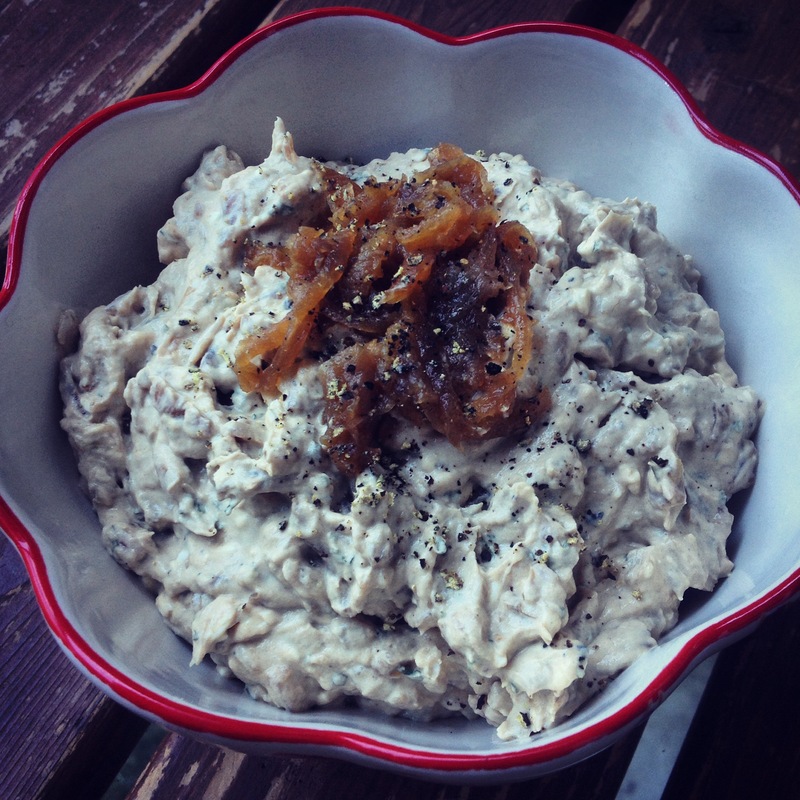 ), I may be too absorbed in the on-field action to eat much, but I know I’ll have some quality snacks ready if I get hungry: spicy gochujang wings, maybe chili or pulled pork, a sturdy cocktail and this fantastic onion dip. Most of us know onion dip, but too often it’s a packet of onion-scented dust stirred into sour cream. I’m here to change all that, take your Super Bowl spread from good to The Best: my caramelized onion dip is perfectly balanced, elegant-but-classic, and tasty, tasty, tasty. Making caramelized onions in the slow cooker is one of my favorite kitchen tricks. It takes about 8-10 hours to do, but requires less than 10 mins. of active work/prep time before you sit back and let your appliance do the hard work. They don’t burn, they cook evenly, and they smell positively heavenly. My onion dip uses about half of the yield of one batch of caramelized onions, leaving you plenty left over for soup, quiche, pizza or whatever you choose. You can certainly use caramelized onions prepared traditionally on the stovetop, or a store-bought product. If you’re caramelizing the onions yourself, make sure they cool completely before making the dip. This recipe makes a Super Bowl-sized amount of dip, just shy of 3 cups. That’s great if you’re hosting a crowd, and leftover dip is surprisingly versatile; try using it as a sandwich spread with turkey, roast beef or sprouts, or mix a little with cubed cooked chicken, steamed broccoli and pasta or brown rice. The recipe can be halved easily if you prefer not to make a lot. That said, there’s a chance you won’t have any left over from a full recipe; onion dip tends to be a popular draw. Make sure to buy enough chips, carrot sticks or other dip vehicle of your choice. By hand: Mix the softened cream cheese and sour cream in a large bowl until completely smooth. Get the lumps out now, since it will be progressively harder to do so as you add ingredients. Add the parsley, Worcestershire sauce, balsamic vinegar, salt and several cracks of fresh black pepper (at least 1/2 tsp.) and mix. If your caramelized onions are long and stringy, turn them out onto a cutting board and chop roughly into smaller pieces. Set a few aside to garnish, if you want, and fold the rest into the dip. Cover and refrigerate the onion dip for at least 4 hours, preferably overnight, to let the flavors meld. This is a necessary step– it really needs the time to mellow out and combine properly. Do not skip the waiting step! Remove the dip from the refrigerator and taste; add more salt and pepper if needed. Transfer to a serving bowl and garnish with extra caramelized onions if you set them aside and a few extra cracks of black pepper. Allow to sit at room temperature for an hour before serving for best flavor. In a blender: Reserve 1/2 c. caramelized onions. Add the remaining ingredients to the jar of your Blendtec or similar blender and pulse at speed 4 to combine, about 20-30 seconds. Transfer the dip to a clean bowl and fold in the reserved onions, saving a few to garnish if you want; cover and refrigerate for at least 4 hours and preferably overnight. (See the note above.) Remove the dip from the refrigerator and taste; add more salt and pepper if needed. Transfer to a serving bowl and garnish with extra caramelized onions if you set them aside and a few extra cracks of black pepper. Allow to sit at room temperature for an hour before serving for best flavor.